The Schizophrenia Society of Ontario (SSO) is encouraging all Ontarians to practice yoga on March 5 and help bring peace of mind to over 130,000 people in the province who are living with the illness. In its sixth year, the Yogathon for Schizophrenia will raise funds for SSO's Peace of Minds youth program. This vital program includes community outreach to help young people identify the signs and symptoms of psychosis and schizophrenia, as well as understand the importance of getting help early. "Schizophrenia is a treatable illness that most often starts to surface around 15 or 16," says Mary Alberti, chief executive officer of SSO. "Young people feel frightened and isolated and tell us that the illness robs them of their hopes and dreams, and can significantly alter all their important relationships, including those with friends and family." Toronto resident Samantha Mercanti first developed symptoms of psychosis in her late teens but did not receive a diagnosis of schizophrenia until her third year of university. "If someone would have recognized the signs in me when I was young, I believe I would not have lost six or seven years of my life to the illness," said Mercanti. Mercanti left school to receive treatment, but returned to finish her chemistry degree and is now completing a math degree with the ultimate goal of getting a PhD and working as a professor. "Early diagnosis and intervention is vital," says Alberti. "Funds raised through the Yogathon go a long way toward helping SSO to expand youth-related programs that deliver a lifetime of possibilities." Actor Lauren Collins, who spent eight years on Degrassi helping young people deal with the pressures of growing up, is a proud supporter of SSO's Peace of Mind's campaign. Lauren recorded a Public Service Announcement to raise awareness for the SSO's Youth Engagement programs and this year's Yogathon, as well as to launch SSO's mobile giving initiative. Individuals can text PEACE to 45678 to donate $5 to the organization. "It doesn't matter if you are a skilled yogi or yogini, we encourage everyone to participate in any way they can," Alberti added. 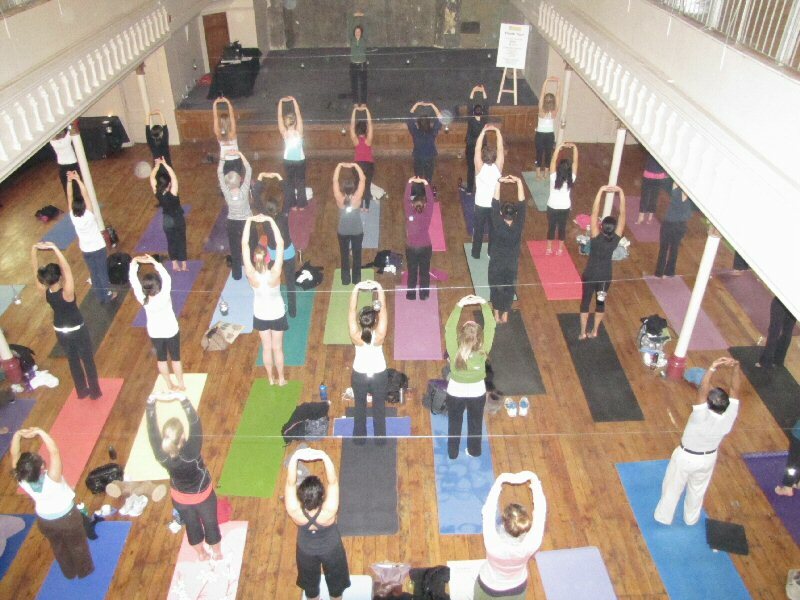 Individuals who are unable to attend an organized event are invited to do yoga at home or host an event in their community and make a donation to the SSO online. For more information on the Yogathon or to register, visit http://www.yogathon.ca. The Schizophrenia Society of Ontario (SSO) was founded as a not-for-profit organization in 1979. SSO works to improve the quality of life for those affected by schizophrenia through education, support programs, public policy and research. Further information is available at www.peaceofminds.org. To view the photo associated with this release, please visit the following link: http://www.marketwire.com/library/20110131-sso_800.jpg. To view the video associated with this release, please visit the following link: http://www.youtube.com/watch?v=JCuD3rWIjSk. Yoga enthusiasts get ready for the 6th annual Yogathon to promote Peace of Minds. Canadian actor and Degrassi alumnus Lauren Collins throws her support behind the Yogathon to support people living with schizophrenia, an illness that impacts 1 in 100 Ontarians.